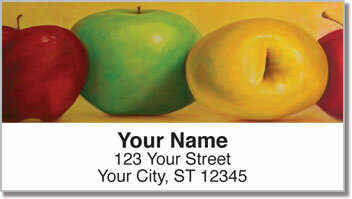 Comparing our address labels to anyone others is like comparing apples and . 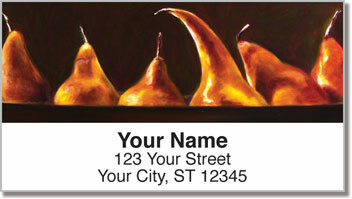 . . pears? Well, no metaphor is perfect. 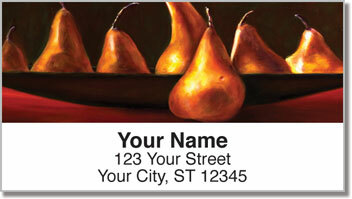 At any rate, now you can get these tasty, elegant designs from Artist Shannon Grissom on our self-adhesive address labels. 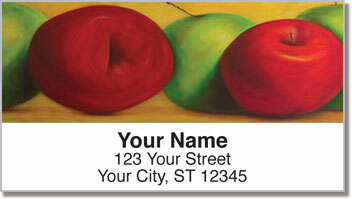 Not only do they make sending mail much faster, their lovely designs are sure to impress. Grissom has a skill for capturing the inner joy of everyday objects. You'll love watching her bring it out in these labels.